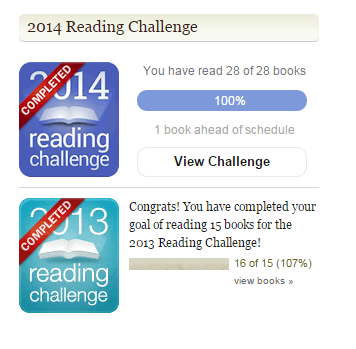 I tend not to live too much of my new year's resolutions, but at the beginning of 2014, I set myself a reading challenge. Last year's target was to read at least 20 books. 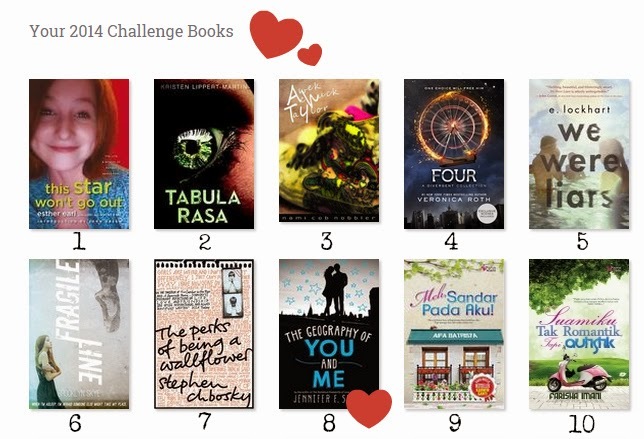 By around the middle of the year, I completed the challenge and decided to add 8 more books for my Goodreads 2014 Reading Challenge. I know that 28 is not a number to brag about, but I feel I wanted to keep a practical and realistic target for the year so that I wouldn't wasted my weekend and free times without any effort to turn in any book. 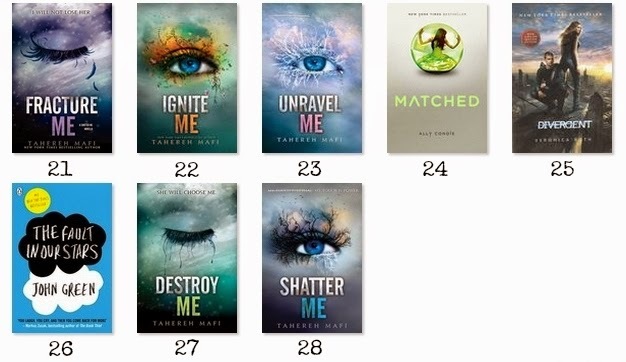 Phew, I've completed the whole series of Shatter Me. I also re-read Divergent for the 4-5th time? I lost count. As you can see, most of my books are Young Adult and taking place in dystopian world, because that is my favourite genre. This book seriously wins all my feels hashtags. I cannot recommend it enough!! As for 2015, I'm setting myself a slightly easier challenge of 25 books. I'm not sure how it will go, but I'm hoping I can completed this year's challenge on time. :) To start off, I'm currently reading This Is What Happy Looks Like by Jennifer E. Smith. You can read my previous book challenge here; [click me], and also connect with me via my Goodread's profile [click me] - where you can find in depth review and rating on each book that I've read. YAY! 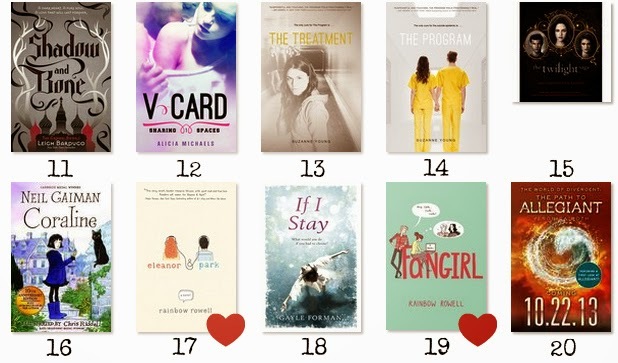 I really like Goodreads! It's totally helps me to read more!